Picture the scenario: You’re presenting a marketing update to the firm’s management committee. That 25-page PowerPoint full of great data on how your website is performing, how the LinkedIn program you implemented is rocking it, how … All eyes in the room start to glaze over. You’ve lost them. As legal marketers, we are regularly tasked with backing up our marketing initiatives with objective data. How we present that data to law firm partners, marketing committees, etc., can be the make-or-break of future strategies and tactics. Now there’s a free, easy-to-use tool that legal marketers can use to make data much more digestible for key decision-makers. 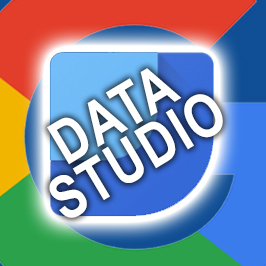 This tool is called Data Studio, a Google data visualization product that the company recently opened up to free accounts. Previously it was only available for paid premium accounts. Data Studio connects directly with your Google Analytics account, pulling data into various reports you build. With a highly user-friendly interface, it’s easy to create professional-looking, interactive reports. If you’re familiar with Google Docs and Google Sheets, this tool functions in a similar way. You can share reports, providing permissions to edit or just view. That way, all members of your marketing team or management group can actively participate in your reports. Mining data in the digital age is easy. We can gather all kinds of numbers that show what our online audience is doing on our websites, our social media channels, our email newsletters, etc. But it’s the information we interpret from the data and the actions we perform based on the information that really matter. Here’s a quick visualization of how easy and flexible it is to use Data Studio. Many law firms use third-party reporting software that concisely displays website analytics in a visual format that’s easily digestible. There are several great data visualization platforms in the legal industry. However, even if you’re using one of these visualization tools, be sure to have a backup tracking platform in place that you own and that gathers historical data. Third-party analytics often have proprietary tracking scripts added to your website, which means if you discontinue your account, all the data that was tracked over time could be forfeited. Even if you’re using a third-party analytics platform, install Google Analytics tracking script to start building a historical data set of web traffic. Data on website visits before installing Google Analytics cannot be retrieved. If you’re already using Data Studio, I’d love to hear your review, so please comment below. For more information about how to use Data Studio, or if you’d like help building custom reports for your law firm, contact me, Melanie Trudeau, at mtrudeau@jaffepr.com or 970.376.7746.